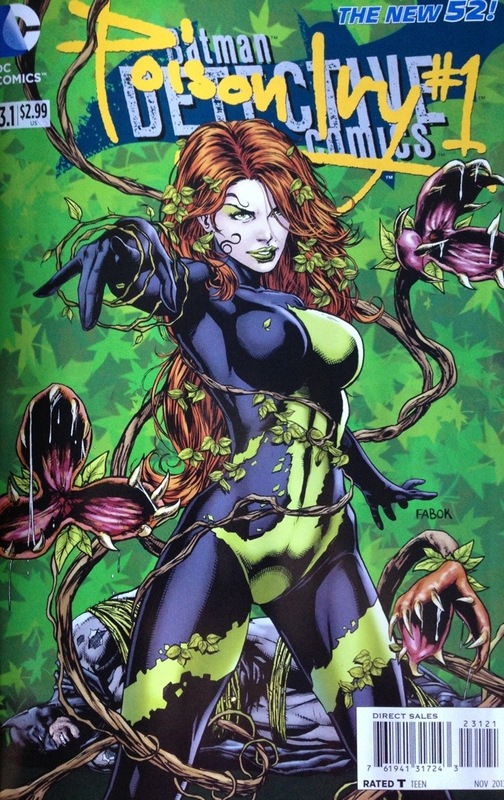 If you haven’t had a chance to read many of the Villains Month books, Poison Ivy is one to get. This month, all DC titles have been taken over by the villains of their respective books. A little in the current time, and a little of an origin, this book makes me really like Ivy, whom I have thought of as a little flat as a character most of the time. I have to say, I would LOVE to see this Ivy on the cover as a figure. Flat black and gloss green. A nice bit of vines. Now THAT would be a figure to hunt down. Today we are going to take a look at Kotobukiya’s Huntress statue fromt he Bishoujo line. These figures are amazingly detailed, and in my opinion, the DC girls have come out way above the Marvel line-up. Out of the box, Huntress is flawless. Probably because she is boxed amazingly well, and is also wrapped in plastic to help keep her from getting rubbed around. 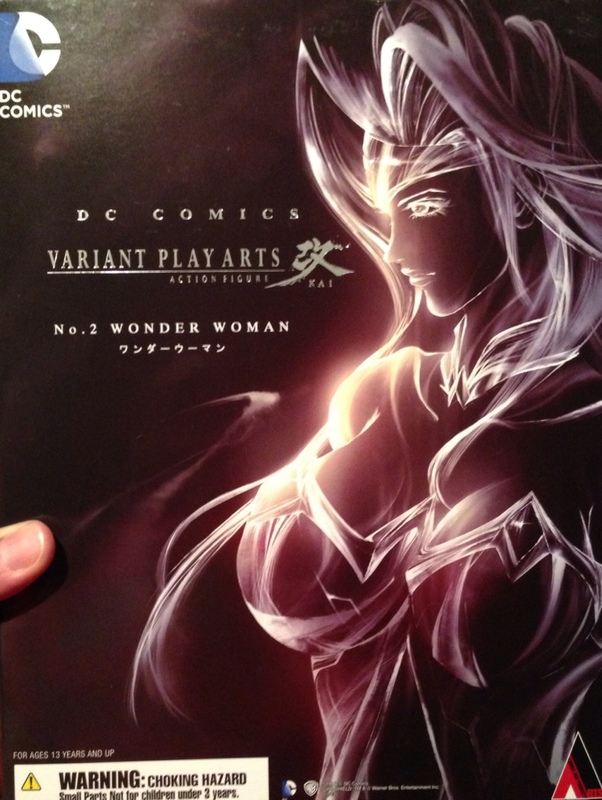 Straight away, she has a dynamic pose that looks like she is atop a building over Gotham. Wind is blowing through her hair, and her cape is billowing. There is really nothing wrong with her in any aspect. Up close on her face, you can see her delicate details. Of course we need those, or it would not be very Bishoujo. That is really the only aspect of her that makes her “anime.” Her hair is fantastic. We have been seeing a lot of the wind-blown look in the line so far, and we get it here again. They went with the fade of the hair to become sort of transparent at the ends of the blown part. I makes her hair look a little grey. I think the concept works much better on hair that starts light. The detail work is top notch. There is not a bit of the costume that does not have a buckle or a wrinkle to show how thoughtfully the figure was designed. She definitely needs to be displayed with good lighting to be able to look upon all of the gentle shading as well as the shiny metallic paint of the purple. She gives Batgirl a run for her money in the shiny department. Here she is with her Batman sisters. When they are side-by-side, Huntress seems slightly larger in scale than Catwoman and Batgirl. They all have their gargoyles to stand on, which really helps give them a great pose. Each is unique and allows them to stand together and look good. It is the other, new figure, that really allows for the scale to work. She stands a little taller than Power Girl, but Power Girl is throwing her hips into quite a contrapposto stance (Oh yeah, come back to me Art History class). What a fantastic figure. This statue looks great on the shelf with the others. The variation from skin texture to the texture of the costume are outstanding. We get the figures in their comic costumes, and not re-imagined like the Ame-Comi figures (though I do love the Ame-Comi figures too). Happy end of 2012. One last review to celebrate the end of the year. Today, we are going to look at the Kotobukiya statue of Power Girl. One of my favorite female DC characters, due to the fact that she is a fish out of water. Showing up from Earth-2, an alternate version of Supergirl. Power Girl is in a dynamic pose, showing off her muscles. The colors of her costume are really well done. Shiny boots, gloves, and outfit. Slightly dulled cape. Her skin tone is fantastic, with shadows added to all of the right places. Her face is really well done. Not a hair out of place. She has slightly mussed hair. Her base is really well done. Textured metal floor with “Power Girl” written in it. The base is awfully large. I don’t think there is anything about the figure that needed such a large base. Her cape actually comes off the back side a bit, making the footprint of the figure much larger. It does make it troublesome to find a place to display her. Along with the other Bishoujo figures, this one is really well done. I am really happy with the way it turned out. I was a little worried since I had been looking forward to her coming out for quite a while. She makes the grade. Lots more pictures on my Flickr page. Click on any picture to go to my page. See you in the new year, lots more good stuff on the way.